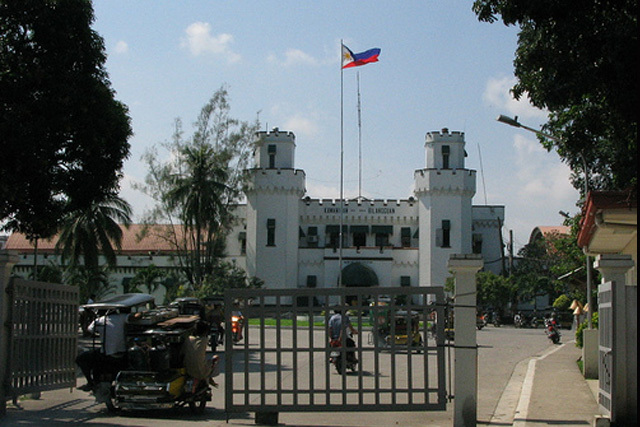 Former officials of the Department of Justice and religious workers stationed at the New Bilibid Prison in Muntinlupa are being investigated over their alleged involvement in illegal activities at the national penitentiary. In a media briefing on Friday, DOJ Sec. Vitaliano Aguirre II said he is also mulling forming a fact-finding group to probe the two DOJ officials reportedly receiving money from drug lords at the NBP in exchange for "protection." He also received reports of religious personnel helping in sneaking in contraband and prostitutes at the national penitentiary. Aguirre said he thinks it is illegal to let inmates run a "community" inside the penitentiary, adding that the DOJ would be "contemplating" on removing these communities. Aguirre said he would consider his leadership "a failure" if they would not be able to rid the NBP of illegal activities. The Philippine National Police-Special Action Force (PNP-SAF) personnel have confiscated a total of P1.1 million worth of prohibited items at the New Bilibid Prison since taking over its security posts, Justice Secretary Vitaliano Aguirre II said on Friday. From July 20 to July 26, the SAF personnel have seized P612,999 in cash, 80 bladed weapons, 12 ice picks, a caliber 38 pistol, six improvised shotguns, 152 mobile phones, 62 phone charges, six sachets of suspected shabu, one plastic of suspected marijuana and 48 television sets in its search operations at the NBP. Aguirre said that the Department of Justice (DOJ) is now studying the possible liabilities of the persons responsible for the proliferation of prohibited items inside the prison. "Once we have determined their violations, you have our word that we will pursue them, to borrow the words of President (Rodrigo) Duterte, relentlessly. The hammer shall fall and it shall fall mightily. There will be no sacred cows. This is just the first barrage of our war on drugs," Aguirre said at a televised press briefing. Aguirre noted that the prohibited items might have come from visitors of the inmates who have been allowed to go inside prison cells. The SAF troopers have been strictly implementing the rules of the prison which temporarily stopped the bringing of prohibited items inside the prison, according to Aguirre. However, some inmates have been discrediting the SAF, claiming the troopers have been abusing the inmates by physically hurting them, which Aguirre declared as "misinformation." The Justice secretary stressed that the agency will pursue the president's mandate of waging a war on drugs, criminality and corruption. "We shall marshal all the powers and the resources at our disposal to eradicate these problems. We will give no quarters nor chance for these evils to find a place to grow. It is high time that we take the fight to them," Aguirre said. Meanwhile, the personnel of the NBP are undergoing prison management to enhance their competence, Aquirre said. The DOJ aims to reorient personnel of the NBP as part of its program to eradicate drug-related activities inside the prison.